Fighting cancer with gold. And chocolate. Chocolove’s limited edition Gold-Dusted Chocolates are back again this Valentine’s Day! 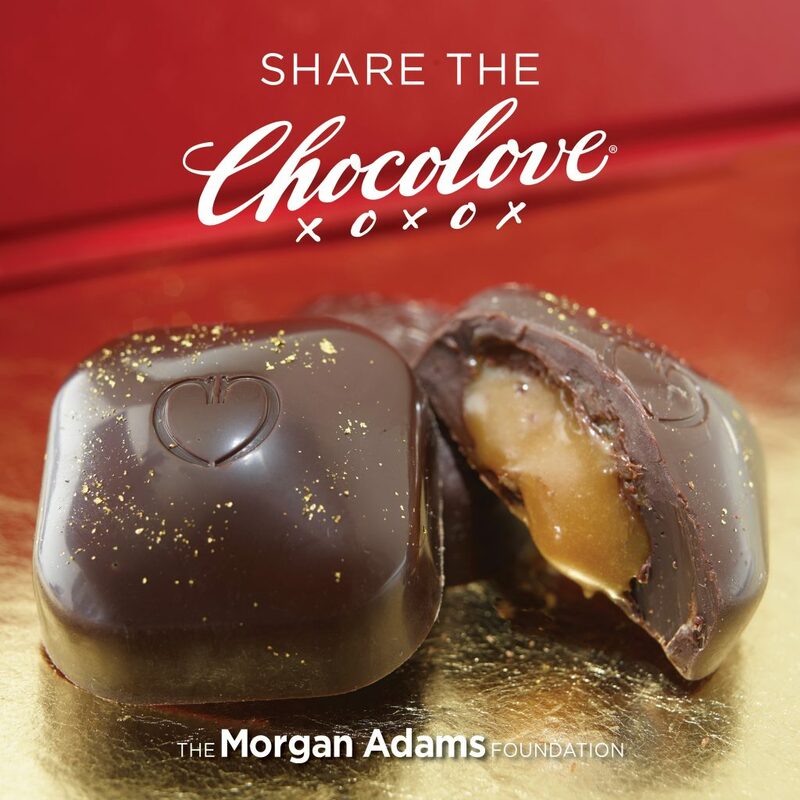 Join Chocolove and The Morgan Adams Foundation in spreading some sweetness with specially designed premium caramel-filled chocolates topped with real (and edible) gold flakes! Each gift box holds 12 exquisite pieces of Belgian dark chocolate filled with liquid caramel and dusted with real gold. These chocolates make a great gift for family, friends, coworkers, clients, and everyone you want to share the Chocolove with! Just $20 per box and all proceeds go to The Morgan Adams Foundation. To order these delicious Chocolove Gold-Dusted chocolates, please send us an email or click here to order directly from Chocolove. For information about quantity discounts, please call the office at 303-758-2130.